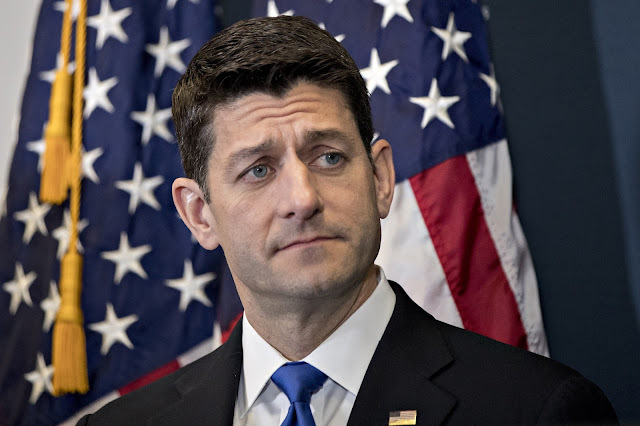 VietPress USA (April 11, 2018): Paul Davis Ryan Jr. (born January 29, 1970) is an American politician serving as the 54th Speaker of the United States House of Representatives since 2015. He was the Republican Party nominee for Vice President of the United States, running alongside former Massachusetts governor Mitt Romney in the 2012 U.S. presidential election. Ryan also has been the U.S. Representative for Wisconsin's 1st congressional district since 1999. He was previously chair of the House Ways and Means Committee from January 3 to October 29, 2015, and, before that, chair of the House Budget Committee from 2011 to 2015. Ryan, together with Democratic Party U.S. Senator Patty Murray, negotiated the Bipartisan Budget Act of 2013. 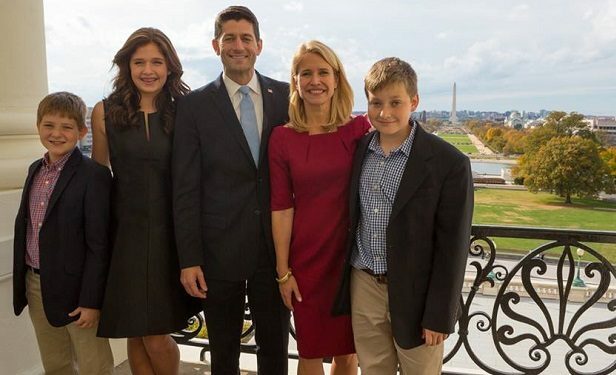 On October 29, 2015, Ryan was elected to replace John Boehner as Speaker of the U.S. House of Representatives following Boehner's retirement, becoming the first person from Wisconsin to hold this position. He named lobbyist John David Hoppe as his Chief of Staff. Ryan will not seek re-election in 2018.(Wikipedia). Today on Wednesday morning, Paul Ryan 48-year-old official announced he will leave his position as Speaker of the House in next January 2019. According to the CBS News Evening, Paul Ryan gave three reasons for his departure: his kids, who are 16, 14 and 13, all born since he came to Congress in 1999. "My dad died when I was 16, the age my daughter is," Ryan said. "I just don't want to be one of those people looking back on my life thinking I spent more time with my kids when I know if I spend another term, they will only know me as a weekend father." Paul Ryan is the 24th House Republican to retire this term, a record. GOP operatives worry that more will follow his lead as polls show the party could lose control of the House in November. At this moment, California's Kevin McCarthy and Louisiana's Steve Scalise have both made it clear they want the job. Ryan intends to weigh in. "I have more thoughts on this," he said. "I think this is probably not the right time to get into that, and I'll share those thoughts later." Despite the Rose Garden celebration, the bill failed in the Senate, which left Ryan one major policy project to cement his legacy: tax cuts. He was successful in December as Congress passed the legislation and it was signed by Trump. Just before his announcement on Wednesday that he would retire at the end of his term, Ryan was greeted with a report from the nonpartisan Congressional Budget Office, which found that the plan would add more than a trillion dollars to the deficit over the next decade. That study that was dismissed by Republicans. But between the budgetand tax cuts, Ryan’s final year in office will have been spent presiding over a ballooning of the same federal deficit he decried for years.